2 Bedroom Detached Mobile Home For Sale in Newquay for £63,229. 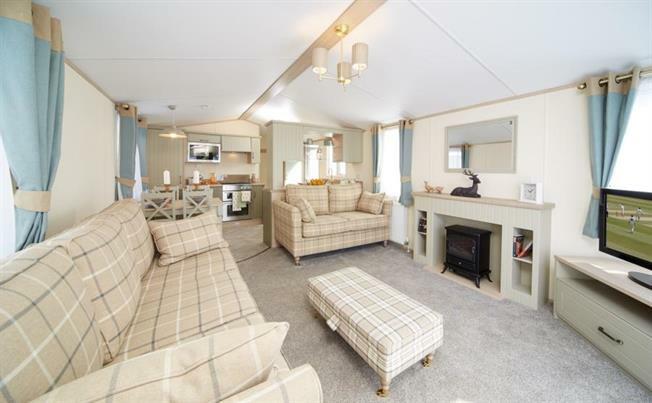 A rare opportunity to own this 2019 38' x 12' Atlas Debonair two bedroom stunning luxury 12 month holiday caravan on a beautiful plot. Comes with lp gas central heating, uPVC double glazing, bathroom and en-suite wc room, washing machine, and private garden area. Newquay View Resort is set in a stunning cliff top valley just half a mile from Porth and Whipsiderry beaches and less than 3 miles to the Britain`s surfing capital, Newquay. Situated between Newquay Cornwalls Premier tourist resort and Watergate Bay with Jamie Olivers Fifteen Restaurant. Porth Beach is within a mile. The amenities and facilities on site include indoor and outdoor swimming pools, bar and club house, convenience store, restaurant, take away, and adventure playground.